This course aligns with C-03 on the BCAT Task List. Describe the history and seminal research related to incidental teaching and naturalistic teaching procedures. 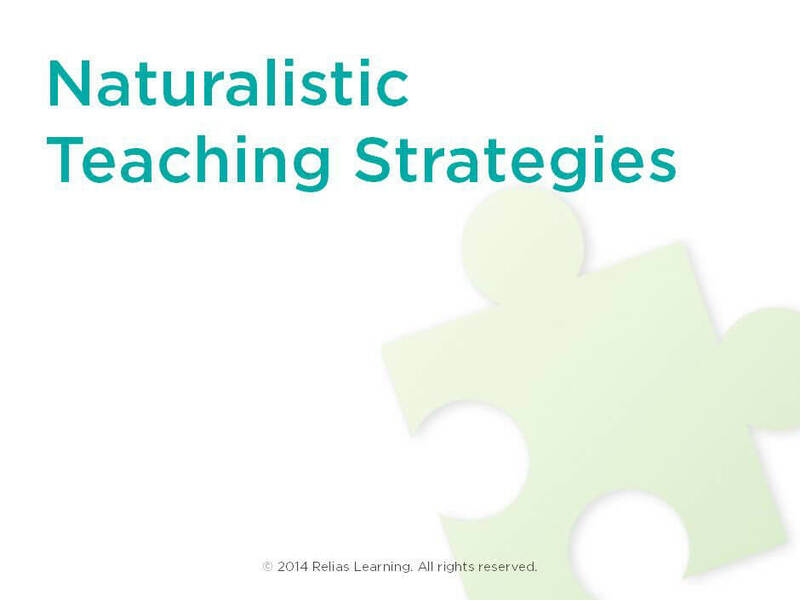 Describe the defining characteristics, strengths and limitations of Naturalistic Teaching Strategies. Explain the differences and similarities between the DTI and NaTS. Describe how to complete two different types of preference assessments.